We’re going back to New You School & discovering what it is about this plan that works! Today’s first lesson is on how total food replacement can RESET our body, break bad habits and get rid of our addictions to processed foods. There is scepticism around diet claims, as there are so many “fake” results out there. Pills, patches, diet drops and magic potions will not help you lose weight. Losing weight all comes down to eating healthy nutritious foods and creating a calorie deficit so that your body can lose weight. That is why losing weight with traditional healthy eating plans is very hard. Every day we get an email from someone sharing their story about how “clean eating” and killing themselves at the gym is not working. If you create a deficit of 500 calories a day, you will lose approximately 1 pound a week. If you have 3 stone to lose, this calculation means it would take you 42 weeks to lose that weight if you create a 500 calorie a day deficit. That is almost a year. 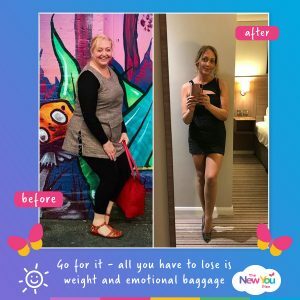 So if you start today, by next August 2019 you could be 3 stone lighter… But only if you are good every single week between now and then. If you have 6 stone to lose, this means it will take you 84 weeks to lose that weight. But not many people can actually stick at it for that length of time. Most human beings can’t. For most people the thought of long diets lasting 1 or 2 years is soul destroying. They end up losing motivation and start to believe the story in their head that they are destined to be fat and unhappy with their own body. And we all know that with conventional diet plans, it doesn’t always mean you lose weight every week. How many times have you thought you have been good all week just to stand on the scales and see you have GAINED?? Horrible feeling that isn’t it?? Most people are addicted to foods. It is so easy to “cheat” on a conventional diet plan. 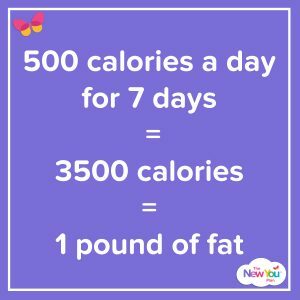 You have a lot of weighing, cooking and counting to do in order to make sure you achieve that 500 calorie deficit everyday. And on top of that your body will feel hungry as you are eating less than you normally do. If you are addicted to alcohol, cigarettes or drugs, it is much easier to remove these from your life. You can go cold turkey. With food it is a different story. We need food to live! This is why our customers LOVE meal replacements! Meal replacements give us a total break from conventional foods. They give us an opportunity to RESET our body, to break bad habits, to get rid of our addictions to processed foods. Using meal replacements means you do not have to weigh foods, count calories or points, or cook for hours every week. Simply having 4 meal packs a day gives your body all the nutrients it needs to get 100% of your RDA, and to create a massive calorie deficit. On average with our meal plan you can create a calorie deficit of almost 1500 calories A DAY. Each of our meal packs has around 135 calories and we recommend you take 4 a day. Chocolate bars, pancakes, porridge, spicy noodle nosh, cottage pie, vegetable chilli, pasta carbonara, 7 shake flavours, and more! Over 35 meal choices to choose from in total. And all made simply by adding water. The great news is that because our meal packs contain everything you need to be healthy, you feel great, and you do not feel hungry because they contain the right amount of carbs to keep your body in a state called ketosis, that blunts feelings of hunger and increases energy. This massive calorie deficit, while feeling great and not being hungry, means you get exciting results – with ease! One of the biggest ways for people to stay focused on a diet is to get MOTIVATING RESULTS. If you can see the scales drop every week, and your clothes feel looser every week, you soon start to believe in yourself. Once you start to believe in yourself, you start to think of yourself in a new way, and most importantly you start to look at your relationship with food in a new way. Having a total break from over indulgent foods and alcohol is a great way to RESET YOUR BODY AND YOUR MIND. To believe that you can be slim and healthy, and that you do not need to eat or drink to be happy, is the biggest mindset shift you can make. In fact, most of the foods that we eat for enjoyment are keeping us trapped, feeling unhappy and unhealthy. It doesn’t have to be that way. A total body reset can change so much. How long does it take to change?? 21 days of total food replacement can help you to break down old habits. The first 21 days is known as the combat stage, most people will find it much easier after 21 days. 66 days of total food replacements can help you to instil new habits and thinking. This is proven by science that it takes 66 days for you to instil new habits so that they stick. Not only can you totally change your thinking and habits around food in 66 days, but you can also dramatically change your weight and even reverse type 2 diabetes. Research recently released by the Journal of Diabetes showed that by following 8 weeks of meal replacements (600 calories a day) the average weight loss of 30 people with diabetes was 2 stone in 8 weeks, and that 12 people reversed their diabetes 6 months after. It was also reported that the average person in the trial maintained their weight loss by reducing their normal calories intake by one third. The results of the trial have been hailed exciting by experts in the UK. 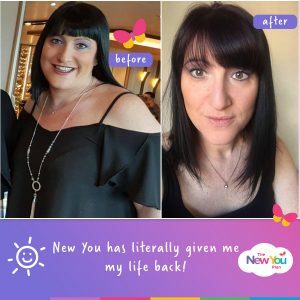 The use of meal replacements to fight obesity, diabetes and to help people to reset and change how they think and what they eat is really exciting. Because it WORKS. Food and nutrition is the key to a New You. It is the key to weight loss and the key to maintenance. 8 Ways Meal Replacements Make Losing Weight Easy! Your body gets all the nutrients it needs to be healthy. 4 packs a day gives you 100% RDA vitamins and minerals. Your body creates a calorie deficit without you having to think about counting calories, carbs, proteins etc. You achieve motivating weight loss results! This is the biggest factor to success. Studies have shown that the more motivating the results, the more chances people have of sticking to their diet. You don’t have to feel overwhelmed with menu planning, meal prep or cooking. You’ll get a total break from conventional food, time to reset your palate and the addiction to junk foods and foods that made you fat, unhealthy and miserable. Break the emotional attachment to eating, you learn to cope with your emotions in more positive, healthy and empowering ways. You’ll lose weight without feeling hungry. When ketosis kicks in around day 5 things get easier. The longer you stay 100%, the deeper into ketosis you will go and the more you settle into your new way of eating, and the easier and easier it gets. Have ample energy and a general feeling of well being. Being in ketosis and losing weight makes you feel empowered. Instead of feeling tired like you might by reducing calories normally, when you use meal replacements, you do feel energised. If you want to make the last few months of 2018 a time of amazing transformation, good health, happiness, empowerment and excitement, then pick your start date, get started, get focused on losing that first 10 pounds as fast as you possibly can. ← Paul’s Life Changing 2st 8lb Transformation!